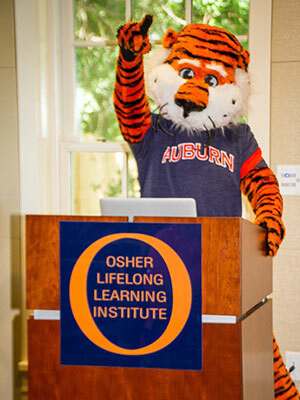 The Osher Lifelong Learning Institute at Auburn University (OLLI at Auburn) will begin another exciting Winter Term 2019 on Jan. 28. Winter Term 2019 Catalogs will be available across the Auburn-Opelika area the second week of January. Course Registration for the Winter Term will begin Jan. 14 and close on Jan. 24. 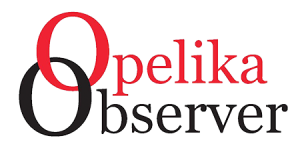 OLLI at Auburn offers academic not for credit programs for adults aged 50 years or older through program sites at Auburn University, AUM in Montgomery and the Chambers County Public Library in Valley. Membership includes several benefits such as participation in social engagements, our lecture series, day trips, and other programming initiatives. OLLI at Auburn is a program of the Office of the Vice President for University Outreach at Auburn University. OLLI administrative offices and select classes are located at the historic Sunny Slope property located at 1031 South College St. in Auburn. For more information regarding this event or if you would like to assist the organization as a volunteer faculty member, volunteer service assistant, or sponsor call Ileeia A. Cobb, Ph.D., OLLI Director, at 334-844-3105,email olli@auburn.edu. or visit www.olliatauburn.org. Next articleLee County commissioners welcome Richard LaGrand Sr.